Being a housewife in the 21st century puts you in a controversial position. Many people believe housewives are nurturing their families, making homes and building up society. Others are convinced housewives are old fashioned and outdated, responsible for thwarting the efforts of women who work outside the home and insulting the memory of those who worked so hard to obtain equal rights for women. What does it really mean – being a housewife in the 21st century? Frankly, it’s almost easier to approach it from the angle of what we are not. There are no ‘typical’ housewives or stay at home moms anymore. We are all different, with different lifestyles and circumstances. Some of us have never worked outside the home, many of us have. Most of us are well educated – some of us are biochemists, neuroscientists, doctors, lawyers and more. Many of us have children, a number of us don’t. Some of us love what we do and wouldn’t have it any other way, others are doing it as a labour of love while they put their own dreams on hold. Most of us are so busy that we get up earlier and go to bed later to try to fit more hours in the day. Honestly, I haven’t been bored since 1991! Anyone who believes a housewife’s life is boring should come and spend the day with one. Most of us are well-educated, and many of us have degrees. Some of us have left well-paying jobs to take on our role as housewives. We are well informed, politically active, contributing members of our communities who are just as comfortable discussing politics and socio-economic policy as anything else. Most housewives ARE feminists. The feminists who deride us seem to have forgotten that the whole premise of feminism was a woman’s right to choose her own path. The majority of housewives believe in that right no matter whether a woman decides to work outside the home, be a housewife or become prime minister. Feminism is meant to give women the right to choose, not dictate or restrict the choices we can make. 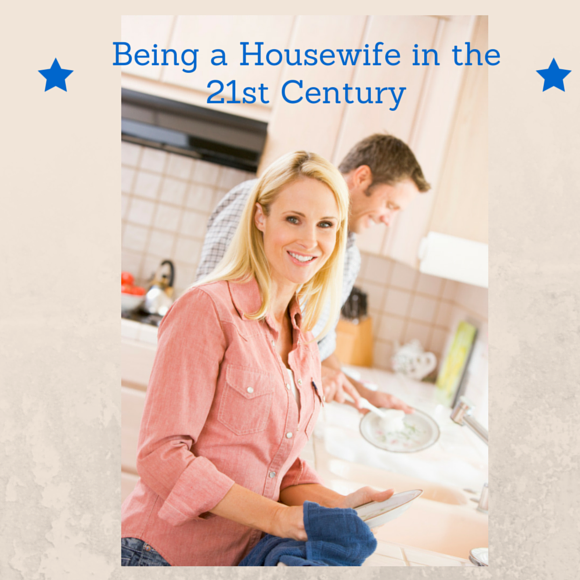 Being a housewife in the 21st century doesn’t mean that we think every woman should be one. Not every woman wants to be a housewife nor should they be. We know that there is no proof that children raised by stay at home moms are any happier or well adjusted than those raised by women who work outside the home – or vice versa. We don’t think we are looking after our homes or our families better than anyone else. We respect every woman’s right to choose her career, be it outside the home or within it. The decision to become a housewife or stay at home mom can have far reaching financial complications in the 21st century. Having only one income can mean having to tighten your belt and make sacrifices. It can mean spending years on a tight budget and struggling to make ends meet. While my husband and I now enjoy a very comfortable lifestyle, this was definitely the case for us for the first several years of our marriage. Many of us contribute to the family finances either through savings we have built up in earlier years or via working part time at home. We bring value to our homes by the tasks that we perform. Ever priced up hiring a nanny, personal assistant, housekeeper and accountant? Enough said. If you see a housewife out to lunch with a friend, it’s likely been scheduled for weeks and we are sandwiching it in between other commitments. It’s not a regular occurrence and we’ve probably been looking forward to it for ages. The ladies of leisure shown on certain ‘reality’ television programs? They are our bête noir and about as far from ‘real housewives’ as you can get. 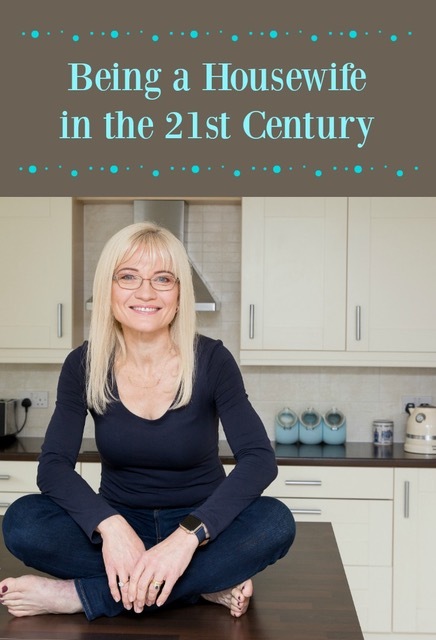 What is being a housewife in the 21st century – really? In a nutshell, being a housewife in the 21st century is a profession in and of itself. 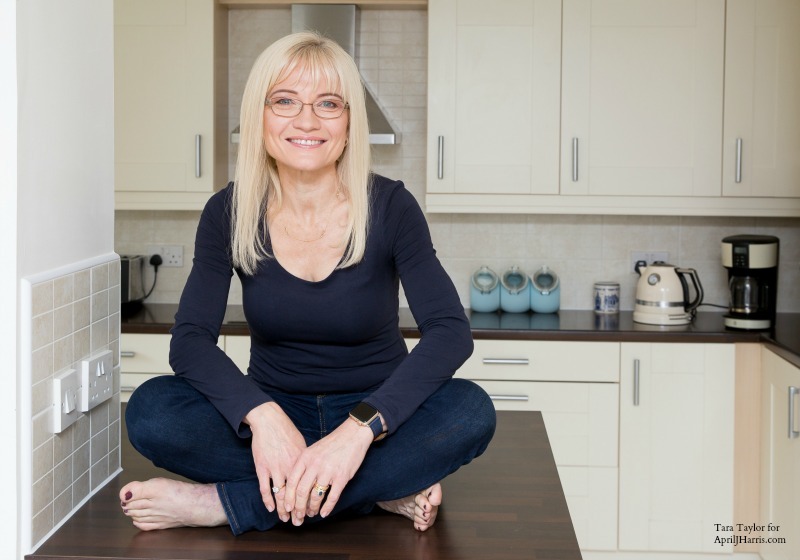 Running a home, raising a family and managing family life full time can involve making financial sacrifices, putting your own dreams on hold or foregoing them entirely. Being a housewife in the 21st century is a vocation and a labour of love. It’s a choice that deserves more than just a little respect. If you enjoyed this post you may also like Are You a Professional Housewife? The word which resonated with me most strongly here was “choice”. If someone makes an informed decision to live their life a certain way then I’m sad that others feel justified in weighing in to criticise. But I suppose, as a society, we unfortunately have thousands of years of history in thinking we know best for the choices made by others concerning politics, religion, and so on. Sorry that you have to deal with this, April. Thank you, Pauline. I’m so glad the idea of ‘choice’ resonated with you as I really wanted to focus on that very thing. I agree, as a society we do have a long history of thinking we know best for others – you put that very well! Well said. I worked part time when I was single, then a little bit during our marriage, but I prefer staying home full time. Some women assume I want all women to stay home and it is not the case! Thank you so much 🙂 It sounds like we have a lot in common! Thank you, Emmy! I like what you said too – “We are all awesome and do things differently but as long as we are trying our best and loving our kids then life is good!” That is SO true!! I agree. Feminism brought us choices. Stay home, work, have children, don’t have children. We should support and cheer each other on in our various paths. April, I love your article! I was able to be a housewife when we were raising our four children, if we needed some extra money I found things I could do out of the home to earn money. Now that our children are grown I still enjoy being a housewife! I find I never have enough time to do all the things I want to! Thanks for sharing your thoughts! Thank you, Nancy, I’m so glad my article resonated with you! I totally agree, there’s never enough time to do all the things I want to either! People today can often be a bit too outspoken about things that are none of their business! I know women who are housewives and women who have careers outside the home. One of the housewives who comes to mind takes on so very much that she recently had a heart attack. I totally agree, Jean 🙂 And oh my goodness, I hope the lady who had a heart attack is okay! It’s amazing how we women push ourselves these days – both those of us who are housewives and those who work outside the home. We are only human after all! I’ve always worked outside the home, except for brief times of unemployment. My partner (male) has had longer times of unemployment and in recent years has been working from home. We feel it’s very obvious that SOMEBODY has to do the “homemaking” stuff; we can split it up and each be a part-time homemaker, but we can’t live comfortably without a homemaker. Although we have never chosen to arrange our family so that one of us is a full-time homemaker, that certainly seems like a valid way to do things. You might enjoy reading about <a href="http://articles.earthlingshandbook.org/2011/10/09/my-grandmother-got-a-few-things-done/"what I finally realized about my grandmother's life. In my adult life I’ve been shaking off “feminist” assumptions that everything women traditionally did is degrading. I’m pleased to see some signs that our society is becoming more egalitarian via men spending more time and taking more interest in nurturing children and in cooking at home (not just in restaurants or backyard grills); I think that’s far overdue! Thanks for the great blog post April. I agree x 1000000!! If we could only add a few more hours to the day too, that would be nice lol! Thank you so much, Amber 🙂 And I agree, I’d love a few more hours in the day! Loved this! I’m currently working outside the home for the next few weeks at least, until I have my first child and go on maternity leave. Our goal as a family is for me to stay home with our children until they go to school, which will mean lots of financial sacrifices as well as criticism from all directions for “giving up” on my career. That’s why I loved your line, “the whole premise of feminism was a woman’s right to choose her own path.” Feminism doesn’t mean tearing down women who choose different paths. It means supporting and encouraging each other in a world with equal opportunities for all. Thank you, Monica 🙂 You are so right, women do need to support and encourage one another! Wishing you all the best at this exciting time! am a working woman. I am also a mother of two children. One just past the first decade of life, the other not halfway through. I am professionally qualified, am good at my work (if I may say so myself). I also have always wanted to work. As in be gainfully employed. As in earn in hard cash. As in be someone who can claim to have a direct financial contribution to the family. I have worked from before marriage, and have just continued doing so. Never thought seriously that I should not…. It helped that I have an understanding family. Ma in law who pitches in and hubby who does not mind the house going bonkers when my office workload hits the roof, which happens like every other day. I am not advocating that you should or should not work. Rather, am just putting in my two bit of wisdom. 1. The working woman is a 9to 5er, who works at a lowly position to help in the finances, to ensure food on the table the next week, or, to ensure that kids can go to college. 2. The lady of leisure is a lady of leisure because she chooses to be one, i.e. she is amply provided financially, has no worries about the coffers of the house. Most housewives,( and that is a misnomer, if any, which I too agree) complain that its unfair to say they dont work. They do. And I agree to it too. That they might not directly be paying bills, but are saving a lot of money in not making hubbies pay through the nose for them. But look at it from the other side of the spectrum. We as working women, do the household stuff and THEN go to office. At least those who are doing the job because they need th money. We get up early, pack the kids lunch boxes, our own, clean up the house, lock up and go to the office to work eight to ten, sometimes more, hours. We come back, do all that needs to be done (though laundry and dirty dishes are the last on the to do list) make kids study, listen to their worries, be nurse, psychologist, teacher cook maid etc etc. in this short time, and then get rest. We miss out on seeing the summer bloom, the winter frost, we miss out on most of the kids milestones, because we have to work. We feel envy when we see the lunch ladies, which admittedly they went after serious planning et all, but which we cant, because a half day leave that we would need from office for that lunch date, is so much better utilised in taking kids to the dentist. 1. We hate it when our housewife friends say “its so good that your kitchen work is over by 9 am, I have to slog over the stove till 2 in the afternoon”, after 9, we have to rush to the office to do something else, which you obviously dont do, for whatever reason. 2. It jars our brains when you pride over how you “clean your house from top to bottom every fortnight, my _____(put the name of your son / daughter / husband / dog) cannot tolerate dust”. Please, we dont have the luxury of allowing our son / daughter / husband / dog to be intolerant to dust. Now tell me, who is being smug, intolerant and is backbiting. And last but not the least, since feminism is about choices, it should be both ways, we respect yours, you respect ours. And not just choices but everything, including our situations. It might be that if our situations are reversed, we might both be unable to cope. Thank you for your comment but you have completely misread and misinterpreted my article. Every family makes tough choices and I am so sorry you feel so bitter. I am very sad that you have taken my article – which was meant to be supportive of both women who work outside the home and women who are housewives as well as to be a positive reinforcement of how women need to stick together and not criticise one another – and twisted it the way that you have. It sounds to me as if some of your “housewife friends” have not been as supportive as I would be and that makes me sad too. And I must stress again that I am not and never will be a “lady who lunches” – although when I do have the opportunity to go to lunch I am very grateful. I also want to point out that neither my husband nor my son are intolerant to dust and I would never, ever criticise another woman’s home or her life choices. I hope that you manage to find some happiness in the future – it sounds like you have had to work so hard that you have missed much joy. The bitterness in part may also come from envy on my side, since I do not consider myself to have had a very hard life anyway. God has been kind to me in myraid ways. It is also, in part because we belong to two very diverse regions, India, is not a very conducive place to have a career. But being a housewife is way easier since help is cheap here. So maybe I was bringing my regional experience, which you obviously would not be able to relate to. Hi again April! Lately, I’ve been getting all sorts of comments from nosy people, asking me where I work, what I do. Then when I say I’m a housewife they spill all sorts of negative comments ad judgment. I am married to my husband, not them! Do you ever get those? If so, how do you react? I need some help! Hi there! Yes, I’ve definitely had negative comments and they can be really hurtful. It’s often hard to know exactly what to say but I think the most important thing is not to take the nasty comments to heart. Having said that, I also think you should definitely calmly disagree with them. I’m just guessing at comments you may have had here but “I’m far too busy (or I simply don’t have time) to be bored / lazy / unfulfilled” has worked well for me in the past as has “Me being a housewife works extremely well for my husband and I.” If they have been very rude I would add “Your assessment of the situation is completely inaccurate and honestly, it’s none of your business.” I hope that helps. If you have some specific negative comments you are okay with sharing I’d be happy to try to help more specifically. If you prefer, you can email me at april@apriljharris.com. I hope this helps! Thanks, it helps! I’ve been called “just a 50’s housewife waiting for her husband to come home”, which isn’t true, and just in general, many women just stare at me and say “you don’t work”, which is quite annoying! Those are mean comments and very untrue as well! It sounds a bit like the commenters might be jealous, although I know that doesn’t help when people are hurtful! Maybe try “I’m far too busy to sit around waiting for anyone” or “Maybe you don’t work around your home but I sure do!” as responses. I’m really glad I could help a bit but I hope people will be kinder in future! Thanks! Most commenters have been working women, although there has been men as well. I usually just listen and don’t have much of a clever response as I think about it later! I feel like I can’t even leave the house without someone questioning me. wow. I have been reading some of your voices- amazing. Im 24 and married. We hope to start a family God willing when we get out house and have always believed in being a a mother and wife staying at home to provide and nurture my family. In the society we live in it can be disheartened but its for us to stay focus on what is really right and good for us and our family ! I really likes this 🙂 I’ve never worked other then cleaning for a family member and baby sitting, I’m homemaker I like it but I get board a lot, do you have tips for young homemaker? Loved this post. 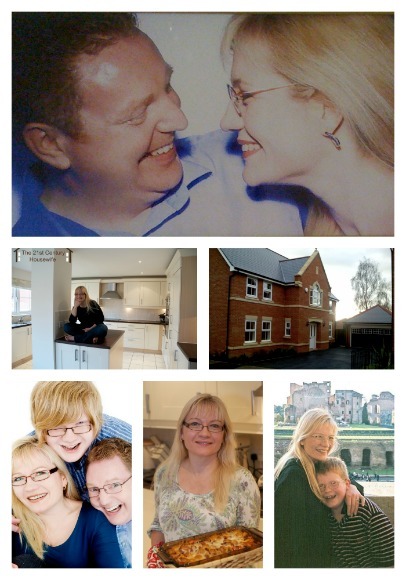 I am a stay at home wife and it makes our lives so much easier…and more pleasant! I have dinner already done, most days, when my husband gets home from work which allows us to have a more relaxing evening. I do a ton of house work during the week so on the weekends we can go out and enjoy doing things instead of cleaning or running errands. I love being able to maintain the house while my husband works because then it gives us more “us”time! It is a little hard on me sometimes since the only money I bring in now is from the little bit I make on my blog. Thank you for sharing this article. I thought it was great! I’m so glad you enjoyed the article, Breezy! I really appreciate your kind comment 🙂 I’m on my way over to visit your blog now! I’m so glad you liked the article, Mina, and I’m so glad it helps. It makes me sad that your teachers would ask why you are bothering with university. Whatever choices we make in our lives, it is important to take advantage of all the educational opportunities open to us, and to keep learning throughout our lives. Plus, you can definitely be a feminist whether you work outside the home or not. I’m really glad you have noticed a trend of many women being fulfilled by this lifestyle, that is very encouraging. You are right, you are very young and you have your whole life before you – but what you decide to do is up to you. I encourage you to definitely go to university and have lots of great experiences, choose to work at something you love, and the rest will follow. Thank you so much for your kind comment. I wish you all the very best! I am so glad the post resonated with you and helped! Thank you so much for letting me know 🙂 What you do is important and it does make a difference. I really appreciate your kind comment! I loved this article and it totally resonated with me. I have been a “stay at home mom” for the last 16 years and it is truly what I love to do. What a lot of people in my life don’t realize is in that time I have also held many many part-time/ work at home, side jobs that most people don’t “see”. It is so frustrating to have certain people look at you and give you that skeptical look when you say you are busy. I hate feeling like I have to justify my time and one of the most frustrating things is when people ask, “So, what do you do for a living?” The assumption that I am stupid or uninteresting is so galling. Anyways, thank you so much for summing up what being a housewife in the 21st century is like. I’m so glad the post resonated with you, Samantha. I can absolutely identify with those looks certain people give us! I find it frustrating when I feel I have to justify my time as well. Thank you for your kind comment, I really appreciate it!